Once the heart of the Roman Empire, Rome, known as the ‘Eternal City’, is a destination that is rich with both culture and history. Standing for several millennia, there is so much to see, do and discover throughout its districts. If you’re planning a visit to the Italian capital, be sure to check out our top 10 incredible things to do in Rome! 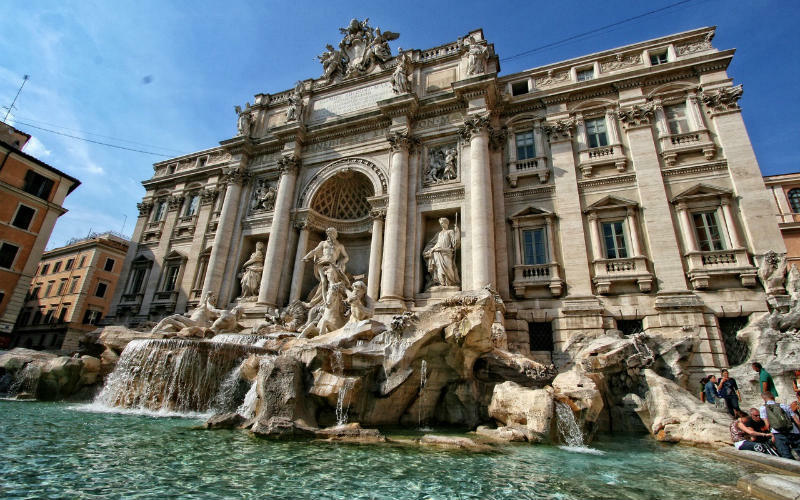 Arguably one of the world’s most famous fountains, Rome’s Trevi Fountain also happens to be one of the city’s top attractions. Perhaps best known for its starring role in films such as La Dolce Vita and Roman Holiday, the ornate Baroque style fountain attracts thousands of visitors each year, with people from across the globe looking to throw a coin or two over their shoulder for good luck and a safe return to the city. It’s said that close to €3,000 is tossed into the fountain each day, with the total amount collected each night and donated to a charity that works to help the city’s needy. 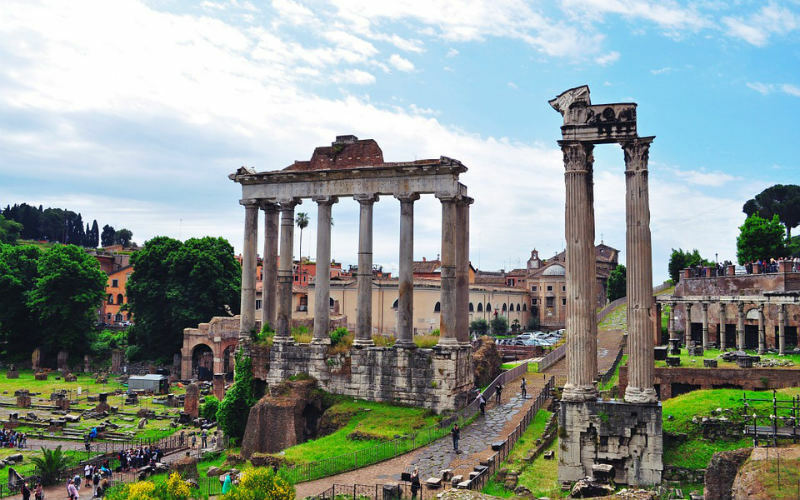 Once a vibrant hub of temples, public spaces and government buildings, the Roman Forum offers a glimpse into the grandeur and incredible scale of ancient Rome. Although having been largely scavenged for its stone and marble, some impressive sections of the sprawling complex remain, with many points of interest, including Via Sacra, the Arch of Titus and the Temple of Antoninus and Faustina, well worth exploring. Slip on your walking shoes, join a guided tour and imagine what life in one of the world’s great empires was like. The Roman Forum, Rome, Italy. 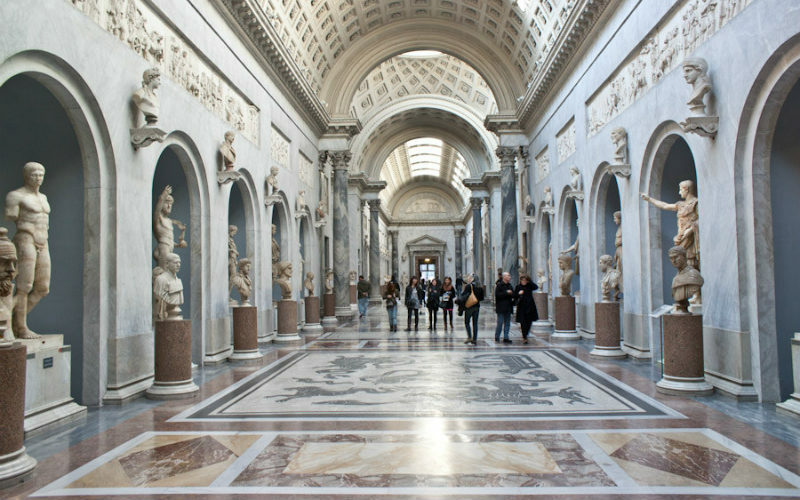 Set within the borders of Vatican City, a tiny country surrounded by Rome, the Vatican Museums showcase the remarkable collection of artworks and artefacts that have been accumulated by the leaders of the Catholic Church over the centuries. Established during the 16th century, the museums’ collection is one of the largest in the world and features an assortment of objects that originate from across the globe and throughout history. From Egyptian mummies through to Flemish tapestries, each of the museums showcases something a little different, but presents no shortage of intriguing pieces to discover. Vatican Museums, Vatican City. Image Credit: DeepakG / CC by SA 2.0. 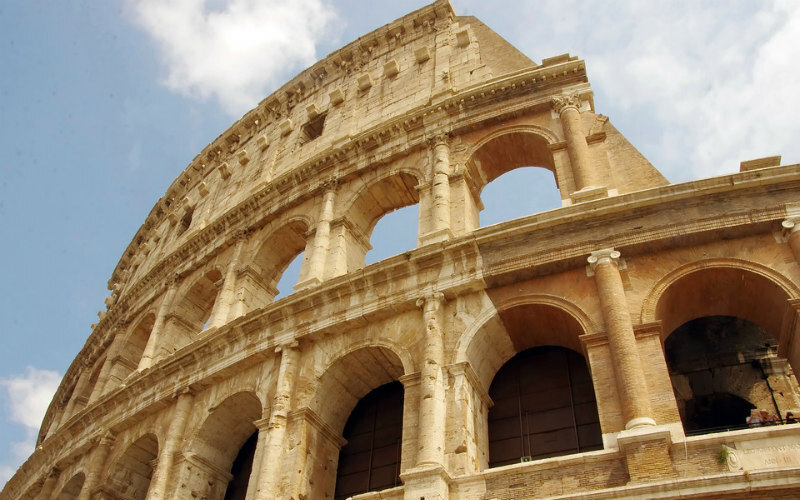 Constructed close to 2,000 years ago, the Colosseum is one of the true icons of Rome. Standing in the centre of the city, the historic structure originally served as an amphitheatre that was thought to have been able to hold up to 80,000 spectators, but now stands as a reminder of the once mighty Roman Empire. Housing gladiatorial contests, dramatic performances and even public executions, the Colosseum’s uses have been quite varied throughout the centuries, but the grand structure has evolved over time to earn the status of one of the city’s must see attractions. 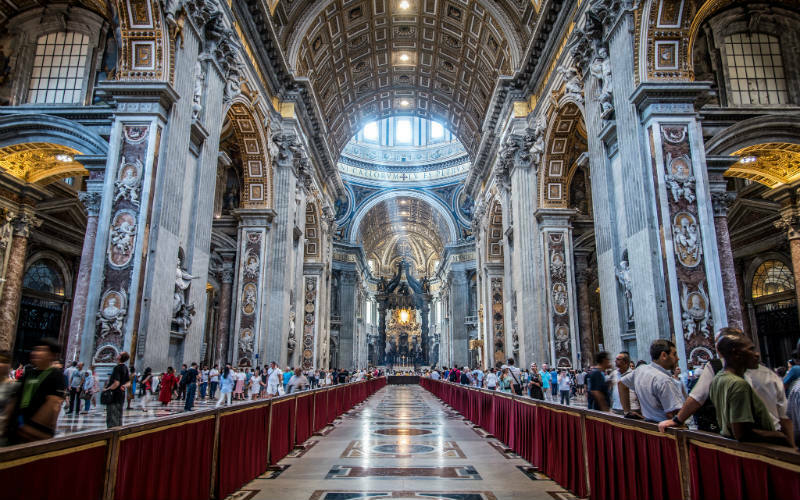 A Renaissance era church in the heart of Vatican City, St Peter’s Basilica is not only a grand and ornate structure, but is also a holy site for the adherents of the catholic faith. Completed around 400 years ago, the basilica stands on what is thought to be the burial site of Saint Peter and is lavishly decorated with domed ceilings, carvings, gilding, sculptures and more. Join a guided tour and learn about the history of this iconic building or spend some time admiring and exploring its beauty at your own pace. St Peters Basilica, Vatican City. Image Credit: Kamil Porembiński / CC by SA 2.0. 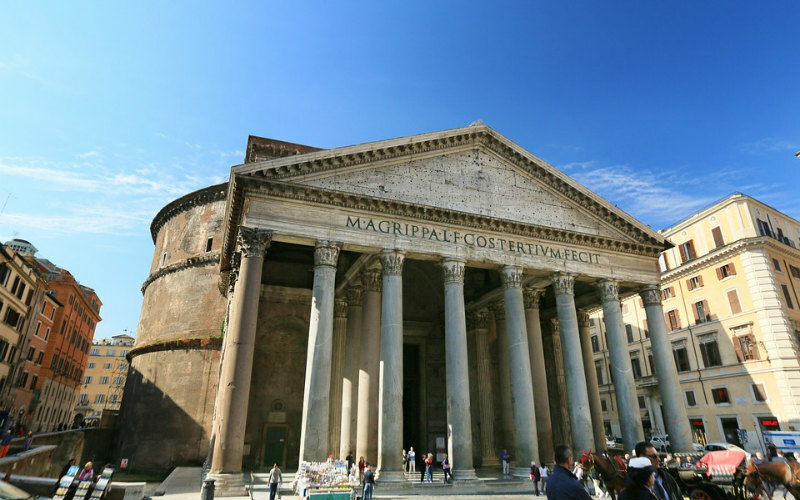 A remarkable relic of the city’s heritage, the Pantheon has stood in Rome for close to 2,000 years, starting out as a Roman temple and eventually having been converted into a Christian church. Recognisable by its large granite columns and spectacular domed ceiling, the scale and elegance of the building’s design is nothing short of awe inspiring. Inside, you’ll find some beautiful works of art, the tombs of several Italian kings and an assortment of architectural features that were first designed almost two millennia ago. 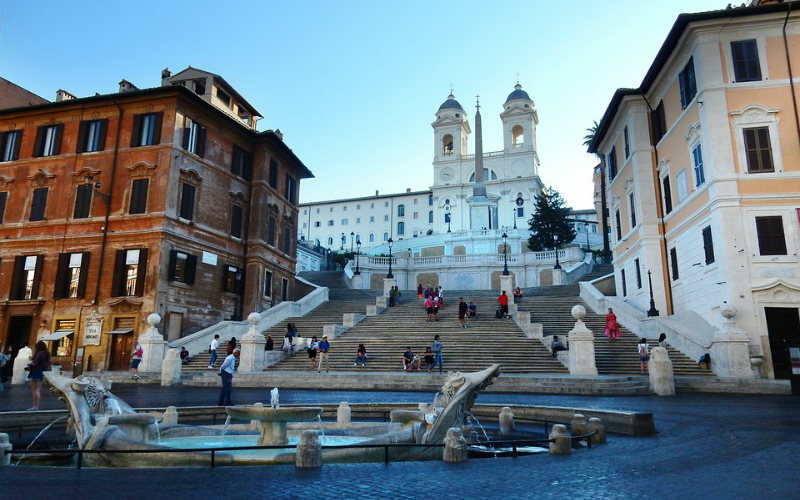 Connecting Piazza di Spagna and Piazza Trinità dei Monti, Rome’s Spanish Steps are an 18th century stairway best known for its unusual design and popularity as a place to gather and unwind. Comprised of 135 steps, several terraces and a mix of straight and curved flights, the journey to the top of the staircase involves a little effort, but the views from the top are worth it. Stop and soak up your surroundings, enjoy a spot of people watching, or simply enjoy a quick rest on the steps before discovering more of the city’s unmissable sights. The Spanish Steps, Rome, Italy. 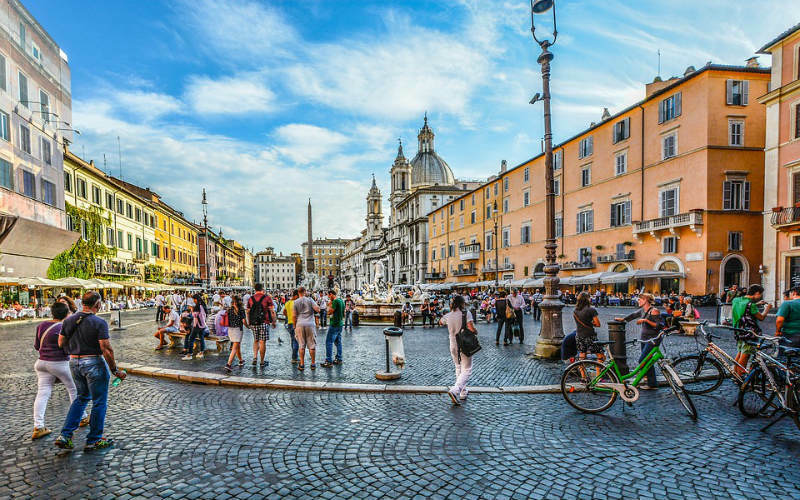 Originally the site of an ancient Roman stadium, Piazza Navona is charming public square home to beautiful fountains, a host of street artists and a collection of impressive buildings. One of the largest of its kind in Rome, and arguably its prettiest, the atmosphere in the square is often quite vibrant, making it a great spot to wander through if you have the time. See the details of the square’s popular fountains up close, admire the facade of the Sant’Agnese in Agone or grab a bite to eat at one of the restaurants that line the square. 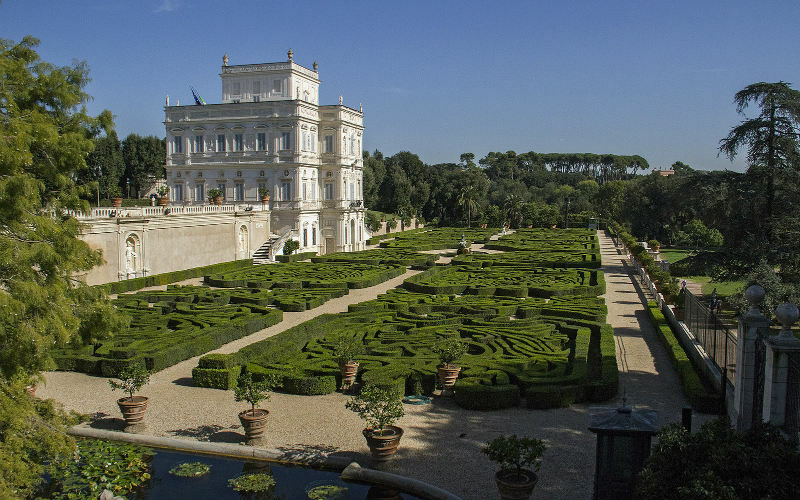 The largest landscaped public park in Rome, Villa Doria Pamphilj is the perfect place to head for a touch of peace and quiet while exploring the Italian capital. Originally part of a private estate that was owned by the Pamphilj family, the grounds are now operated by the city, allowing the public to admire the spectacular gardens and historic buildings that pepper the landscape. Popular with locals heading out on a run or simply looking to escape the hustle and bustle of central Rome, the park is a great place to soak up the warm Italian sun and recharge your batteries after a day of sightseeing. Villa Doria Pamphilj, Rome, Italy. Image Credit: CucombreLibre / CC by 2.0. 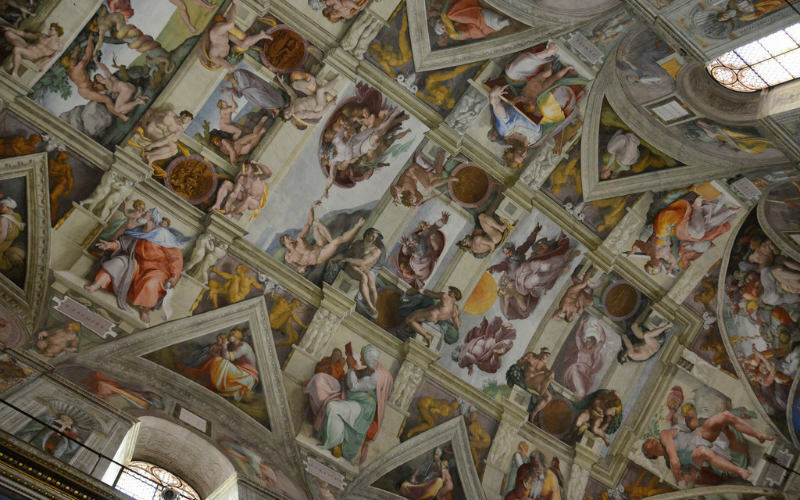 Perhaps best known as the home of Michelangelo’s world-famous ceiling mural, the Sistine Chapel sits within the grounds of the pope’s official residence, the Apostolic Palace. Standing since the 15th century, the chapel has been used regularly by the popes who have held the position since its construction, but it is the murals and frescoes that cover the chapel’s ceiling and walls that have lent the building its fame. Alongside the works of Michelangelo, including the iconic ‘Creation of Adam’, paintings by Botticelli, Perugino and Luca help to give the chapel its unique appearance, with art lovers from across the globe flocking to see the incredible imagery that adorns it. The Sistene Chapel, Vatican City. Image Credit: Damien Dempsey / CC by 2.0. 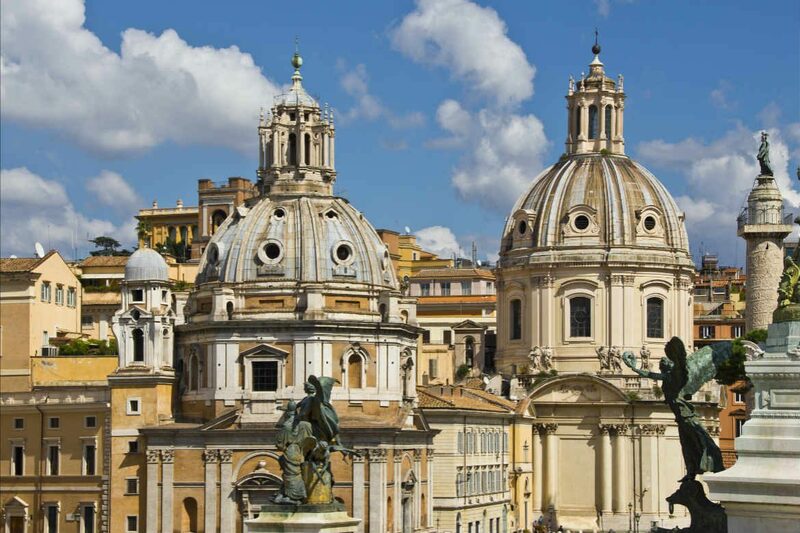 Ready to see the ‘Eternal City’? Secure your place on an unforgettable Italian adventure or Europe tour from Webjet Exclusives today! Feature Image Credit: Bert Kaufmann / CC by SA 2.0.